Enfo needed an intelligent automation solution for flexible pricing and billing data processing to deliver outstanding IT services for its’ customers. 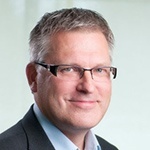 In a modern business, digitalized operations can be a game-changer. Enfo can now orchestrate transparent end-to-end service chains of the multidimensional service contracts from service transactions and usage information to billing data and financial transactions — and thus enable Enfo’s service management and financial operations to deliver business benefits with intelligent rule-based automation. Enfo is an IT service provider offering Managed Services, IT Transformation, Financial Process Services and Business Solutions enabling Digital Transformation. Enfo is digitalizing its’ own operations and its’ customers’ business operations with top-notch solutions. Enfo creates innovative digital solutions that develop, innovate and improve operations for the customers. With business awareness, technical expertise and proven work methods, Enfo refines information flows and develops IT solutions so that Enfo’s customers take the initiative in a digitalized world and are able to deliver results and experiences to their clients. Enfo consists of 1,000 niched experts in Finland and Sweden. Turnover MEUR 140 (2015). 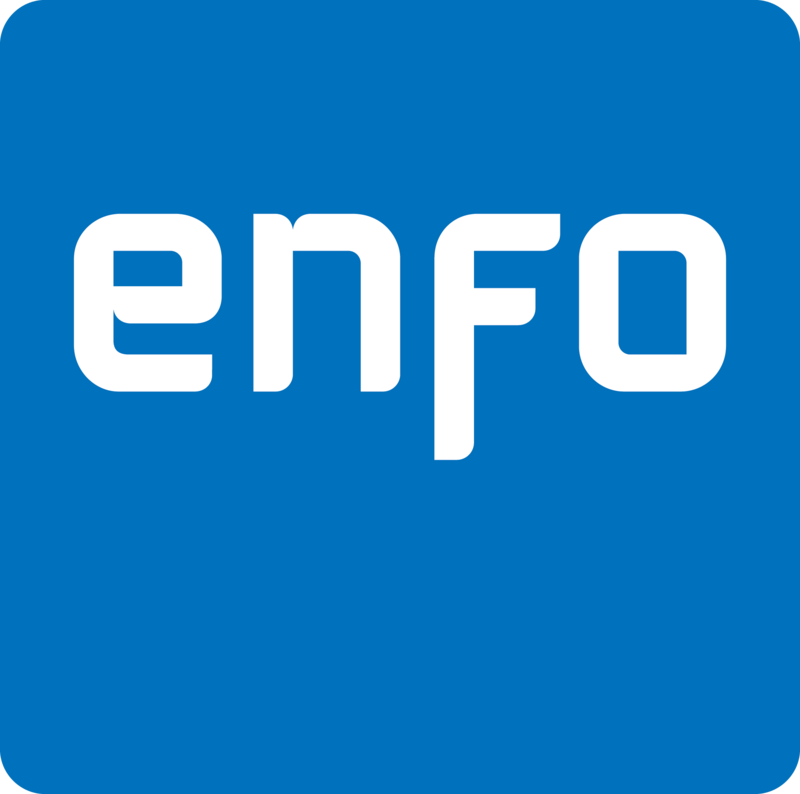 Enfo’s customer slogan “Simpler, Smoother, Smarter Business in the Digital Dimension” can be seen all throughout Enfo’s operations, starting from their products and services extending to processes and competencies. Enfo needed a robust and flexible software to eliminate manual work in gathering service data and usage-based billing data for each and every specific customer contract and to automate pricing and billing. Enfo partnered with Good Sign to gain competitive advantage and streamline their internal operations. Good Sign provides forerunner service providers and service ecosystems the flexibility to stay competitive in the fast moving digital space. With Good Sign Solution Enfo is able to digitalize the old, the new and the future business models and pricing schemes. While developing new sophisticated services for their customers, Enfo realized the risen challenges with charging for their complex and bundled service products. With the customers’ need for transparency and accuracy in mind, Enfo identified their key requirement: Providing customized billing data with various charging drivers and pricing models - and with a capability to consolidate and split invoices according to each customer’s requirements. Additionally, Enfo concluded that time-to-market for new services must be quick – which is enabled by mixing service catalogue based pricing models and flexible, customer specific, rule-based automation for pricing and billing. As Enfo had rapidly been growing its base of digital services and products, Enfo had already renewed their ITSM processes and tools including configuration management to gain a single source of truth for operational data. Therefore, Enfo fully comprehended they needed a single source of truth for the monetization data, too – and envisioned redesigning master data management, usage-data flows and enhanced sales reporting & analytics. Profitability could also be increased by minimizing revenue leakage and decreasing the tied-up capital by accelerating the invoice processing. Additionally, manual labor could be avoided and the efficiency could be improved via comprehensive automation and convergent billing. Good Sign’s solution resolved several gaps and eliminated manual labor as well as increased quality and speed in Enfo’s charging and billing operations. Good Sign is bringing transparency from source data to invoice items for Enfo’s operations and Enfo’s customers alike. Good Sign reads data from Enfo’s operational tools, service source systems and service administration systems. Usage-data is mediated, consolidated and validated according to predefined rules and alerts. 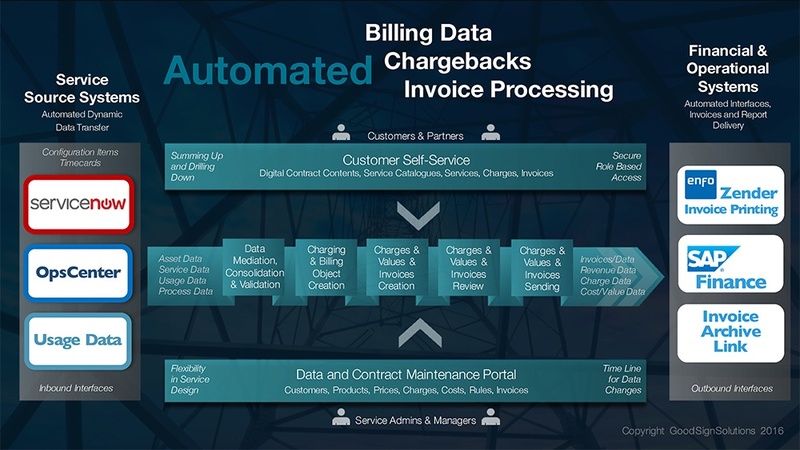 Automated pricing and billing rules drive chargebacks and billing for Enfo’s customer contracts. Invoices are consolidated and split according to each customer’s requirements, delivered to customers and booking data is transferred to the financial system. With Good Sign’s solution, it is possible to have full support for customer specific contract terms and multidimensional contract structures, which adds value to Enfo’s services. Good Sign’s intelligent automation brings Enfo operational efficiency. In addition, Enfo is able to increase speed and flexibility in the further development of its service offering. Service management excellence, customer insight and forward looking operational planning are improved by having transparent and detailed data available at any time throughout the service history and archives. From a real-time status, to any agreed changes in the future. Increased revenue from being able to end revenue leakage and seize opportunities for additional revenues. Improved cash flow from increased revenues, speed and quality as well as profit improvement. Competitive advantage from flexible usage-based pricing and being able to offer customized services cost efficiently. Data quality - no double records. Transparency from contract and service transactions to billing data and financial transactions. Savings in process costs and maintenance, removing manual labor and idle costs. Enhanced risk management and compliance, improved internal data integrity. Good Sign and Enfo will continue close partnership to exploit the full power of Good Sign Solution, to roll out automation in all Enfo business units. The partners will be prepared to take on any challenges derived from the rapid advantages of digital business. People say everything’s moving faster and faster these days. In reality, more and more is happening simultaneously. And we get the feeling we have to move even faster. But you don’t need to pick up the pace to get smarter. What you need is an overview. We are here to help. You are welcome to call or email us or leave a contact request concerning case Enfo.